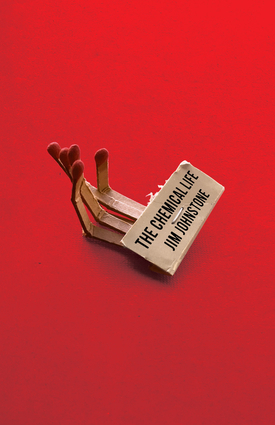 Praised for his darkly psychological accounts of extreme experiences, Jim Johnstone's fifth book of poems explores his most difficult terrain to date: mental illness and addiction. Like Coleridge's opium dreams, Johnstone's narratives are hallucinatory, colored by his use of both prescription and recreational drugs. Returning often to the notion of rival realities, Johnstone is brilliantly disruptive and disorientating—a poet whose savagely austere forms, electrically precise images, and keyed-up rhythms reveal an obsession with the mind-altering properties of language itself. Jim Johnstone is a Toronto-based poet, editor, and critic—author of four previous books of poetry: Dog Ear, Sunday, the locusts, Patternicity, and The Velocity of Escape. He's also the winner of several awards including a CBC Literary Award, The Fiddlehead's Ralph Gustafson Poetry Prize, and Poetry's Editors Prize for Book Reviewing.